William Cruz Jr., 33, of 1510 Elayne St, Bethlehem, Pa, found guilty of ovi. Sentence: 10 days jail. 7 days suspended. $500 fine. Daniel M. Sackinger, 52, of 203 E.Ohio St, Waynesfield, found guilty of persistant disorderly conduct. Sentence: 30 days jail. 30 days suspended. $250 fine. Delquan M. Williams, 24, of 5208 East Rd, Elida, found guilty of dus - fra. Sentence: 30 days jail. 0 days suspended. $250 fine. Rodshawn C. Allen, 26, of 1115 S Sugar St, Lima, found guilty of dus - fra susp. Sentence: 30 days jail. 0 days suspended. $150 fine. Jessica M. Bond, 35, of 8060 Bellefontaine Ave, Harrod, pleaded no contest and found guilty of unauthorized use of property. Sentence: 30 days jail. 30 days suspended. $150 fine. Auntionna A. Cotton, 25, of 421 South Roberts Avenue, Lima, pleaded no contest to found guilty of ovi. Sentence: 5 days jail. 5 days suspended. $400 fine. Payton M. Decker, 20, of 2319 Washington Ave Apt 10, Findlay, found guilty of theft. Sentence: 10 days jail. 10 days suspended. $150 fine. Sharonda M. Green, 30, of 110 Dellsing Drive, Vandalia, found guilty of traffic falsification. Sentence: 30 days jail. 7 days suspended. $150 fine. Jason C. Groves, 46, of 503 Orena Ave, Lima, found guilty of theft. Sentence: 60 days jail. 35 days suspended. $200 fine. Anthony Hurley, 22, of 1213 Oakland, Lima, found guilty of ovi. Sentence: 180 days jail. 163 days suspended. $600 fine. Laura A. Jolly, 46, of 11322 Chickasaw, Lakeview, found guilty of possession of drugs. Sentence: 30 days jail. 30 days suspended. $150 fine. Kiara C. Owens, 28, of 316 S Collett St, Lima, found guilty of persistant disorderly conduct. Sentence: 30 days jail. 30 days suspended. $150 fine. Christopher E. Spicer, 21, of 1855 N Cole St Apt 36, Lima, found guilty of ovi. Sentence: 30 days jail. 5 days suspended. $500 fine; found guilty of dus - fra . Sentence: 30 days jail. 5 days suspended. $250 fine; found guilty of falsification. Sentence: 60 days jail. 35 days suspended. $150 fine; found guilty of obstructing official business. Sentence: 10 days jail. 7 days suspended. $150 fine. Rodney D. Stinson, 46, of 112 N West St, Lima, found guilty of reckless operation. Sentence: 30 days jail. 30 days suspended. $250 fine. Lavar Bolden, 18, of 624 N Elizabeth, Lima, pleaded no contest and found guilty of cruelty to animals. Sentence: 60 days jail. 57 days suspended. $150 fine. Millard T. Green, 28, of 411 E Kibby, Lima, found guilty of theft. Sentence: 30 days jail. 30 days suspended. $150 fine. Philip M. Kahle, 42, of 10245 Converse Roselm Rd, Delphos, found guilty of endangering children. Sentence: 10 days jail. 10 days suspended. $250 fine; found guilty of ovi. Sentence: 20 days jail. 10 days suspended. $700 fine. Carrington M. Lott, 22, of 1136 Central Ave, Lima, found guilty of ovi. Sentence: 5 days jail. 5 days suspended. $500 fine; found guilty of dus - ovi susp. Sentence: 30 days jail. 27 days suspended. $250 fine. Jahad M. Manley, 23, of 3717 Bracknell Forest Dr, Groveport, pleaded no contest and found guilty of obstructing official business. Sentence: 30 days jail. 30 days suspended. $150 fine. Noah J. Martin, 19, of 311 N Rosedale Ave, Lima, found guilty of ovi. Sentence: 5 days jail. 5 days suspended. $500 fine. Timothy Risner, 48, of 159 E Patterson St, Dunkirk, pleaded no contest and found guilty of theft. Sentence: 10 days jail. 10 days suspended. $250 fine. Daniel P. Shaw, 29, of 2795 Sherwood Dr, Lima, found guilty of ovi. Sentence: 6 days jail. 6 days suspended. $600 fine. Timothy D. Toeppe Sr., 37, of 12 Elmview Court, Lima, pleaded no contest and found guilty of stopping after accident info. Sentence: 30 days jail. 27 days suspended. $250 fine. Terrance D. Williams, 26, of 1843 W Spring St, Lima, found guilty of obstructing official business. Sentence: 30 days jail. 30 days suspended. $150 fine. 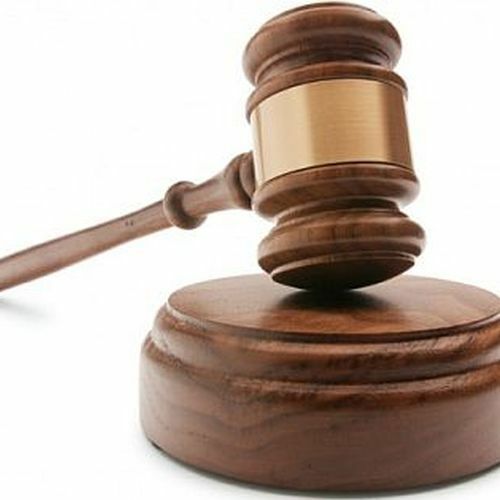 Shaquavia Allen, 23, of 111 Cam Court #27, Lima, pleaded no contest to found guilty of theft. Sentence: 30 days jail. 30 days suspended. $175 fine. Matthew J. Mammone, 35, of 3960 Pioneer Rd, Elida, found guilty of ovi. Sentence: 180 days jail. 135 days suspended. $750 fine. George E, Jr. Mayes, 38, of 19189 St Rt 115, Columbus Grove, pleaded no contest and found guilty of stop after accident injur prop. Sentence: 30 days jail. 30 days suspended. $600 fine. Amanda D. Ray, 43, of 712 Ashton, Lima, found guilty of use/poss/sale/drug para. Sentence: 30 days jail. 20 days suspended. $200 fine. Ronell J. Rogers, 25, of 711 Madison Ave, Lima, found guilty of no ol. Sentence: 30 days jail. 30 days suspended. $150 fine. Dexter L. Thompson, 47, of 901 E Albert St, Lima, found guilty of reckless operation. Sentence: 30 days jail. 30 days suspended. $250 fine. James R. Baker, 36, of 208 Reynolds Ave, Spencerville, found guilty of persistant disorderly conduct. Sentence: 30 days jail. 30 days suspended. $150 fine. Keri A. Cox, 25, of 923 N Main St, Lima, pleaded guilty to found guilty of assault. Sentence: 30 days jail. 27 days suspended. $150 fine. Cheyenne Crum, 26, of 941 Richie Ave, Lima, pleaded guilty to found guilty of theft. Sentence: 30 days jail. 30 days suspended. $150 fine. Angel N. Hahn, 18, of 524 South West St Rear, Lima, pleaded no contest and found guilty of dus. Sentence: 10 days jail. 10 days suspended. $250 fine. Jerry Jacobs, 34, of 758 E 4Th Apt A4, Lima, pleaded no contest and found guilty of dus - fra (4th in 3 yrs). Sentence: 30 days jail. 0 days suspended. $150 fine. Elijah M. Jones, 28, of 751 Avenue A Apt 1-D, Springfield, Mi, found guilty of reckless operation. Sentence: 30 days jail. 30 days suspended. $150 fine. Raynado S. Mahone, 20, of 115 W O’Connor, Lima, pleaded no contest and found guilty of dus - 12 point susp. Sentence: 3 days jail. 0 days suspended. $250 fine. Blake S. Patterson, 21, of 110 Burlington Pl, Lima, pleaded no contest and found guilty of ovi. Sentence: 5 days jail. 5 days suspended. $500 fine. Victoria C. Peoples, 21, of 531 Brower Rd #177, Lima, pleaded no contest and found guilty of falsification. Sentence: 15 days jail. 15 days suspended. $150 fine. Joshua C. Bridges, 34, of 139 N Jameson Ave Apt 210, Lima, found guilty of ovi. Sentence: 180 days jail. 177 days suspended. $750 fine. Cory A. Evans, 29, of 622 N Elizabeth St, Lima, found guilty of unauthorized use of property. Sentence: 30 days jail. 0 days suspended. $100 fine. Tess A. Felver, 19, of 656 Calumet Ave, Lima, found guilty of dus - fra susp. Sentence: 30 days jail. 30 days suspended. $250 fine. Christopher L. Harrison, 46, of 121 W Fifth Street, Lima, found guilty of ovi. Sentence: 180 days jail. 177 days suspended. $500 fine. Anthony P. Morningstar, 35, of 416 S Dana Ave, Lima, found guilty of ovi. Sentence: 180 days jail. 150 days suspended. $750 fine. Danny D. Ward, 19, of 543 W Elm St, Lima, found guilty of falsification. Sentence: 30 days jail. 0 days suspended. $200 fine. Dejuan K. Adams, 44, of 234 W Murphy St, Lima, found guilty of ovi. Sentence: 10 days jail. 7 days suspended. $500 fine. Marc E. Conaway, 40, of 202 East Town Drive Apt 61, Wapakoneta, found guilty of dus - fra . Sentence: 30 days jail. 27 days suspended. $250 fine. Howard J. Denig, 59, of 1102 W Robb Ave Apt 43, Lima, found guilty of ovi. Sentence: 180 days jail. 160 days suspended. $850 fine. David E. Gilmore, 55, of 407 N West St, Lima, pleaded no contest and found guilty of assault. Sentence: 30 days jail. 25 days suspended. $500 fine. Benjamin J. Glick, 20, of 1832 Stewart Rd, Lima, found guilty of aggravated menacing. Sentence: 30 days jail. 30 days suspended. $200 fine. Jesse J. Hardy Sr., 57, of 531 Brower Rd Apt 43, Lima, found guilty of dus - fra susp. Sentence: 30 days jail. 0 days suspended. $150 fine. Andrea K. Hein, 36, of 208 S Liberty St, Ohio City, pleaded no contest and found guilty of dus - ovi susp. Sentence: 3 days jail. 0 days suspended. $250 fine. Jujuan S. McLester, 39, of 718 Berkeley Rd, Columbus, found guilty of ovi. Sentence: 180 days jail. 150 days suspended. $750 fine. Margaret A. Mosel, 69, of 1498 Bittersweet Dr, Lima, pleaded guilty to found guilty of unauthorized use of property. Sentence: 30 days jail. 30 days suspended. $150 fine. Carie A. Myers, 43, of 16195 Buckland Holden Road, Wapakoneta, pleaded no contest and found guilty of dus - fra susp. Sentence: 30 days jail. 30 days suspended. $250 fine. Rachel J. Simpson, 26, of 150 Fox Road Apt.3G, Van Wert, found guilty of dus - ovi susp. Sentence: 3 days jail. 0 days suspended. $250 fine. Deasia S. Smith, 20, of 213 Johns Ave, Lima, found guilty of dus - 12 point susp. Sentence: 3 days jail. 0 days suspended. $250 fine. Kalandra C. West, 27, of 860 W Faurot, Lima, found guilty of dus - fra. Sentence: 30 days jail. 15 days suspended. $200 fine. Jordan Williams, 35, of 2280 Lakewood Ave, Lima, pleaded no contest and found guilty of dus. Sentence: 30 days jail. 27 days suspended. $150 fine. Hunter D. Brodman, 18, of 130 Railroad St, Bluffton, found guilty of ovi underage. Sentence: 30 days jail. 30 days suspended. $250 fine. Chamnique Glenn, 19, of 773 Richie Ave, Lima, found guilty of theft. Sentence: 90 days jail. 60 days suspended. $150 fine. Vernon, Jr. Horace, 35, of 410 1/2 Marian Ave, Lima, found guilty of domestic violence. Sentence: 30 days jail. 30 days suspended. $150 fine. Vernon. Horace, 35, of 410 Marian Ave, Lima, found guilty of violation of protection order. Sentence: 90 days jail. 60 days suspended. $250 fine. Charelle. Jackson, 24, of 112 W High St, Lima, found guilty of dus - 12 point susp. Sentence: 30 days jail. 27 days suspended. $250 fine. Charelle L. Jackson, 24, of 112 W High St, Lima, found guilty of dus. Sentence: 30 days jail. 27 days suspended. $250 fine. Jeremy M. Kohli, 25, of 7079 Madden Rd, Waynesfield, found guilty of ovi. Sentence: 30 days jail. 10 days suspended. $600 fine. Alyssa K. Odell, 29, of 1207 Feeman Ave, Lima, found guilty of dus - ovi susp. Sentence: 180 days jail. 177 days suspended. $250 fine; found guilty of possess drug abuse instruments. Sentence: 90 days jail. 80 days suspended. $200 fine; found guilty of physical control. Sentence: 5 days jail. 5 days suspended. $250 fine. Joseph R. Schier, 18, of 232 W 3Rd St, Delphos, found guilty of ovi. Sentence: 3 days jail. 3 days suspended. $500 fine. Darrell E. Brunk, 47, of 3095 W State Rd, Elida, found guilty of persistant disorderly conduct. Sentence: 30 days jail. 30 days suspended. $250 fine. John E. Dunson, 55, of 15154 County Road 115, Kenton, found guilty of ovi. Sentence: 180 days jail. 170 days suspended. $750 fine. Adrianna N. Hoffer, 34, of 461 Marian, Lima, pleaded no contest and found guilty of failure to comply with officer. Sentence: 90 days jail. 65 days suspended. $150 fine; pleaded no contest and found guilty of use/poss/sale/drug para. Sentence: 10 days jail. 0 days suspended. $100 fine. Juaon L. Jennings, 44, of 758 Weadock , Lima, found guilty of resisting arrest. Sentence: 90 days jail. 50 days suspended. $750 fine. ; found guilty of ovi (aj). Sentence: 180 days jail. 160 days suspended. $850 fine. Jessica A. Mason, 30, of 713 N Charles Ave, Lima, pleaded no contest and found guilty of resisting arrest. Sentence: 30 days jail. 20 days suspended. $150 fine. Yolanda F. McClellan, 50, of 1305 Taft Ave, Lima, pleaded no contest and found guilty of ovi. Sentence: 180 days jail. 90 days suspended. $650 fine. Joseph P. Schara Jr., 21, of 715 North Main St, Lima, pleaded no contest and found guilty of ovi. Sentence: 3 days jail. 3 days suspended. $450 fine. John E. Springer, 52, of 801 E Albert St, Lima, pleaded no contest and found guilty of failure to reinstate ol. Sentence: 30 days jail. 0 days suspended. $250 fine. Audrianna Weisbrod, 25, of 743 S Metcalf, Lima, pleaded no contest and found guilty of dus - fra susp. Sentence: 30 days jail. 0 days suspended. $250 fine.